December 26, 2015 - Metro Manila Filmfest Chairman, Atty. 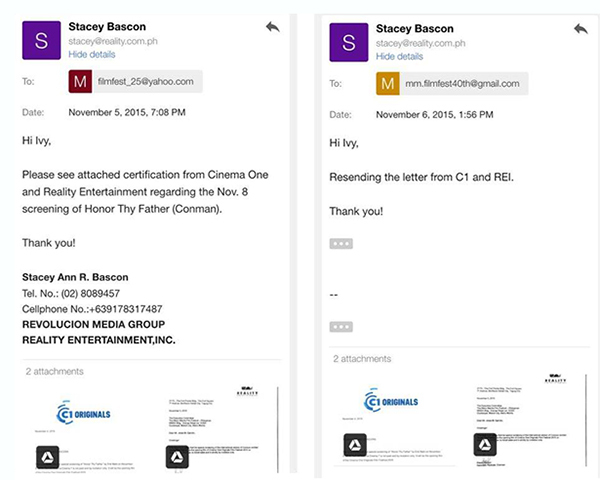 Emerson Carlos, sent a letter to the producer of the critically-acclaimed Honor Thy Father informing them that the film had been disqualified to compete in the Best Picture Category of the festival. The reason stated was that the film producers did not disclose their participation in the recent Cinema One Originals Festival - a claim refuted by the film's producer who released a statement on Facebook along with documented proof. When Reality Entertainment partnered with John Lloyd Cruz in producing “Honor Thy Father” we agreed to make a movie that would capture a small portion of the struggle of the Filipino as he tried to transcend the back-breaking realities and limitations of his life. We wanted to tell the story of Edgar, a Filipino who finally fights back. After putting up with so much oppression, he confronts the people that have made his life hell, people motivated by greed for money and lust for power. Little did I know then that this same narrative would find its way to the movie’s own history. 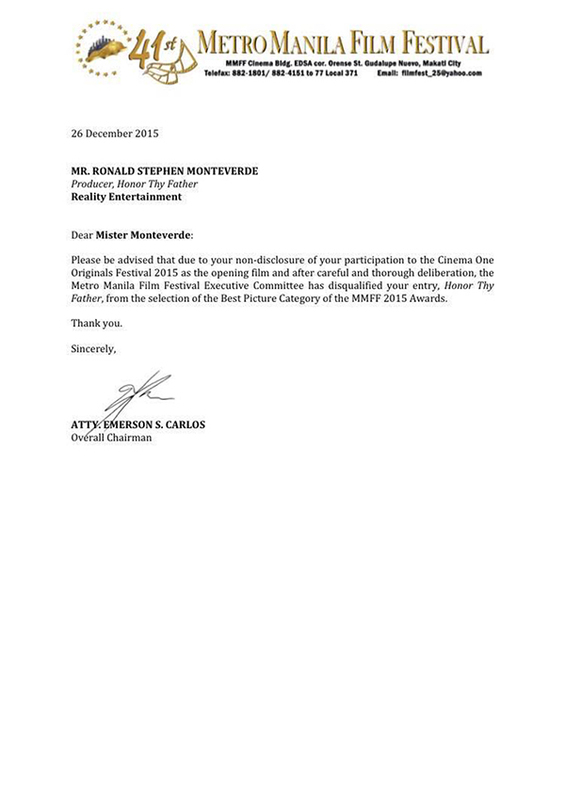 Today I received a letter from the Metro Manila Film Festival informing me that their Executive Committee had disqualified our movie from the Best Picture Category of the 2015 MMFF Awards. The reason for this, the letter said, was our “non-disclosure” of our participation in the CinemaOne Originals Film Festival as the Opening Film. Let me refute this allegation of non-disclosure. If you will recall, Honor Thy Father was a late addition to the MMFF 2015 lineup. It had been rejected by their selection committee when the lineup was announced in June. On October 23 our film was officially offered a slot after an entry pulled out. By then we had already accepted CinemaOne’s invitation to screen as Opening Film. We informed the MMFF Secretariat, both by email and by phone, about this. 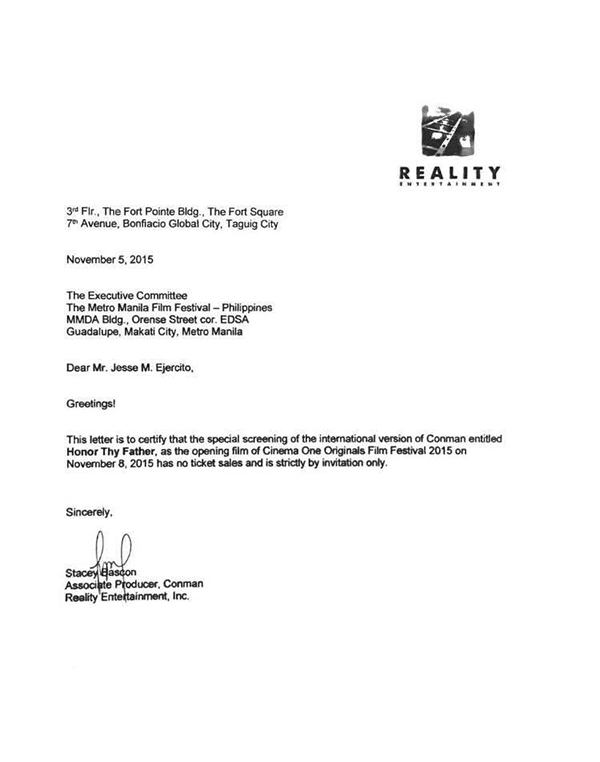 We complied with their request for a letter from CinemaOne head Ronald Arguelles attesting that the screening was non-revenue generating and by invitation only. We have all of this on record. Secondly, each MMFF entry is allowed a maximum of two premieres. Our CinemaOne screening would be our premiere. Let me repeat: we complied with all the MMFF’s requirements; we did not commit any non-disclosure of any kind; no MMFF rule was ever violated by Honor Thy Father. I am questioning the reasons, the timing, and the means employed in enforcing this decision by the MMFF Executive Committee. Where is due process in all of this? We were merely informed of their decision, not given any opportunity to air our side. They sent the letter today. 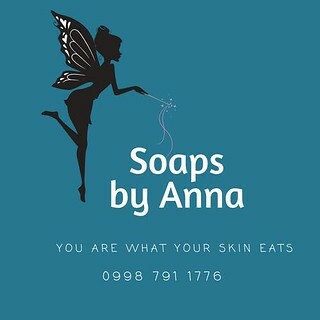 The awarding ceremony is tomorrow. Are they merely being good scouts and sticklers for the rules, even when no rule was broken? Or is there some other reason? Why disqualify the movie only from the Best Picture category and not all categories? Whose interests are being protected by this last-minute decision? Together with my director Erik Matti, co-executive producer and actor John Lloyd Cruz, and everyone behind Honor Thy Father, I demand answers. We demand an investigation. But if no one would care or bother to investigate, then we simply wish that the moviegoers, the Filipino people would start to question and be more critical of what, year in and year out, is passed off to them as good and true. They can have their Best Picture and all the other awards. We just want to keep making movies that people will care about, MMFF or no MMFF. Today is a sad day for the industry I was born into and love dearly. But it doesn’t have to stay this way. Let’s do something about it. Let’s end the silence. Given the proof presented, it is indeed curious as to why the MMFF Executive Committee would prevent the film from competing - and in only one category at that. I have a feeling though that this may get sorted out before the awards night but regardless, it is not as if MMFF has been a model in terms of credibility in giving awards. I am sure that Honor Thy Father will get the attention and recognition it deserves even after the festival ends. But along with the producers and anyone else who value quality, I do hope that it would be sooner rather than later. I hope that the Filipino audience would go beyond blind fandom and start recognizing local gems in more accessible festivals like the MMFF.